Hospitality brands are increasingly on the hook for personalizing customers’ experiences the way Amazon recommends purchases and Facebook recommends ads. VR allows brands to do more storytelling. VR is often touted for its ability to get viewers to empathize with what they’ve seen to a greater degree than is possible in video or print. This is why tourism boards from Wales to Singapore have launched innovation funds and VR documentary series to tell their stories in ways that strike an emotional chord. You may have seen the virtual reality office videos from your doctor’s clinic straight to your laptops. The impact of VR in marketing is definitely transformative and imperative for all types of brands. Have you heard about the Internet of things? Yes, an idea that has changed the world. You can have access to your home appliances while you are traveling or at a remote location. 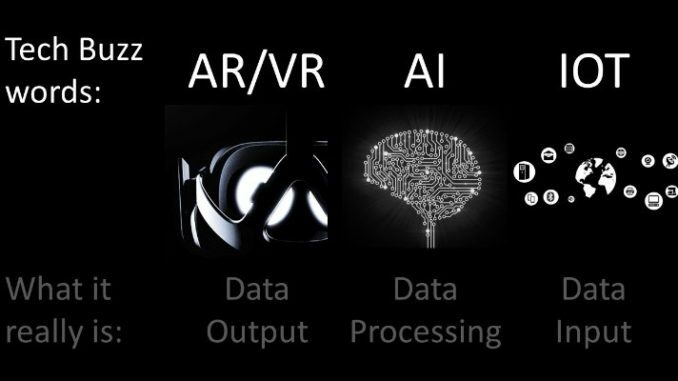 Today, AI, VR, and IoT in hospitality are all converging. More connected devices mean more data. That means AI algorithms are trained on better datasets and can perform more functions. And a greater understanding of guests’ interests, desires, and experiences means more interactive and engaging VR experiences before, en-route, and at their destination. A chatbot can have a meaningful conversation with a customer. The customer poses a simple or complex question and the chatbot is able to give a sophisticated answer. The tech industry has embraced chatbots with vigor – from large corporates to innovative startups. They all see the inherent value of this technology to their organizations especially in the realm of customer service. But are chatbots a passing fad or here to stay? Chatbots are most certainly here to stay and you will see a swarm of them being deployed across a range of platforms. Thanks to the natural language processor we now have a simple means of interacting with technology. We could say that our digital assistants like Amazon’s Alexa are the forerunners of this chatbot explosion. Siri also serves the function of “understanding” what we are asking for it. They can easily recognize our voice commands. Chatbots, on the other hand, respond to the text. This has been a long road of attempting to get computers to understand the human conversation. Everyone has jumped on board trying to crack the seemingly impossible code to our human language. Since 2014 we have seen chatbots start appearing to the public. There was Microsoft’s Xiaoice and Facebook’s M. The big giants like Google are also developing their own chatbots. Twitter has their chatbots interacting with customers automatically with their new welcome messages and quick replies. Large tech companies are even assisting smaller businesses with creating their own chatbots as there is a race to see who will control the platform for all chatbots. This basically means that we are sure to see an acceleration of this automated technology erupting across the web this year. With pattern recognition and machine learning the chatbot can understand a customer’s typed commands or questions. If you are a business that deals with customers on a daily basis you are well aware that there are certain questions and issues that come up all the time. Your chatbot is never going to sleep so it can handle these basic questions from your customers with ease. They can reply in real time to the customers needs raising your customer service level in the process. Your chatbot will be your best customer support agent in 2017. The movement to elevate customer experiences with “botsourcing” of basic communication is catching on like wildfire. The Rise of the Call Center Chatbots? So why would a call center, that doesn’t “sell” a product or run a chat messenger, put time and resources into building their own chatbot? The most practical use is to improve customer service. At call centers, when there is a high call volume, we frustrate our customers with long wait times and many abandon the call and head over to our competition. If you had a chatbot that could handle all of the low touch requests you could see a drastic reduction in the customer waiting and a surge in customer satisfaction. This would alleviate understaffing issues especially for smaller businesses who might not have as large a budget for call center staffing as the big giants. The use of a Chatbot would substantially lower expenses for your call center. With the Chatbot taking care of the easier questions from customers, the agents would be left to offer expert customer service for clients needing more complex assistance. In this new automated digital world that we live in, customer service is the new differentiator. If you are able to offer superior service with the assistance of a chatbot, you will leap ahead of your competition. There are many tasks that chatbots can do better and faster than humans and they should be sent to work on them straight away. But high-touch interactions still require human communication where your agent is able to spend time completely hearing what your customers ask. Chatbots tackle general communication tasks leaving more time for your agents to truly deliver exceptional service to their customers. You now have the time to do more for your customers not just rely on your chatbot minions to cover the basics. It might seem like a new trend that’s just starting out its life cycle and might take some time to fully take off – but that’s incorrect. In this rapidly ever-evolving digital age – useful automated technology like the chatbot will determine the future communication between customers and companies. They have entered the workplace, they are your new, efficient employees who work 24/7 and keep your customers smiling. At the moment they function as customer service enhancers but their full capabilities have yet to be realized. 2017 might be the year of the Rooster in the Chinese Calendar but in tech terms – it is the year of the chatbot!